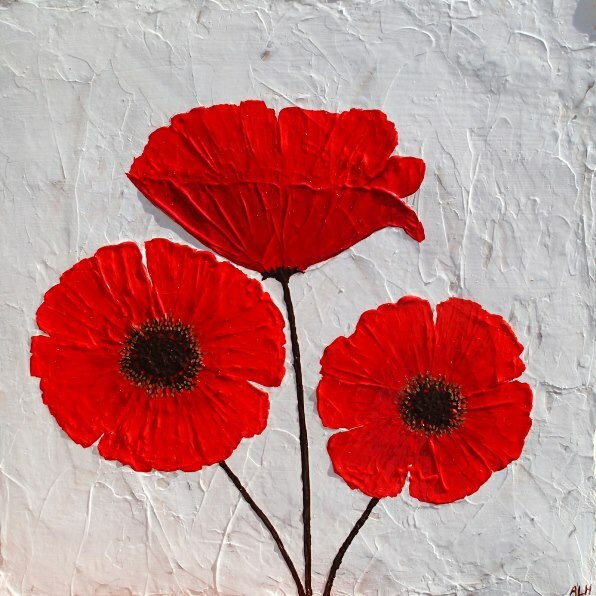 Description: Contemporary painting of three red poppies set against a white background. I have textured the background with swirls of cream and coffee to set off the bright red petals of the poppies and to create a modern style. This is a simple and clean picture that would suit any living space. This painting is on standard edge canvases and has been finished with a protective satin varnish.